Welcome, and thank you for visiting our parish website. Our site is intended to be a source of information about our parishes for locals and visitors alike. We hope that you may find these pages informative and supportive. We welcome your suggestions. 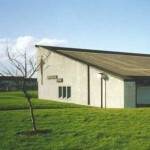 To read a section of the history of Priorswood Parish click on the link.